Spaghetti and meatballs. Meatball subs. Sweet and sour meatballs. Swedish meatballs. Italian meatball soup. 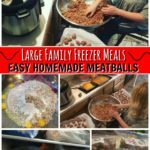 Meatballs in all their forms are one of our favorites and I love having a whole bunch of them in the freezer for convenience. They are messy little things to make so I would much rather do a mega-batch at once and not have to deal with them every single time we want them. 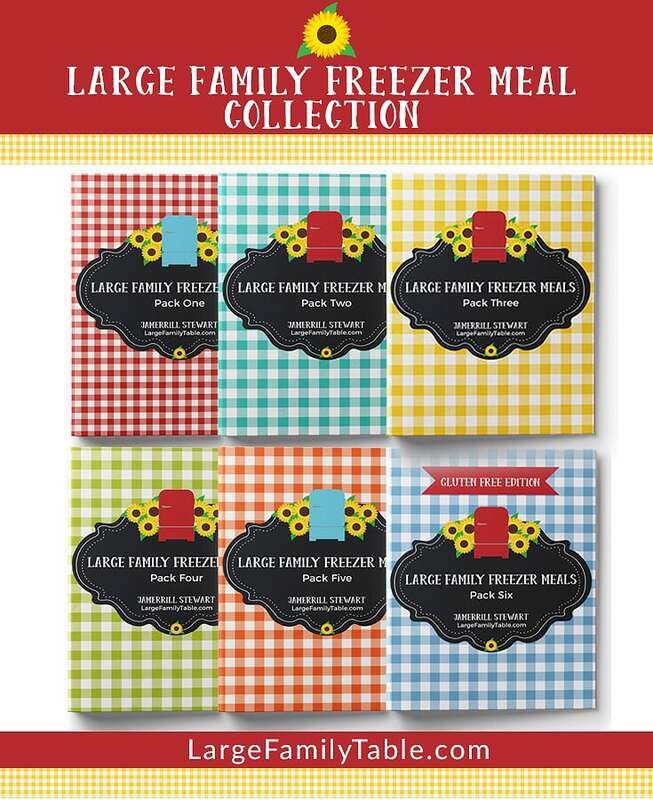 You can use some of these as soon as you make them or freeze the whole batch in portioned sizes that suit your family. I ended up with 17 dozen (204) meatballs. I did make mine rather large, so if you make them smaller, you will get more than I did! Mild-flavored meatballs suitable for adding to just about anything or covering with sauce and enjoying on their own. Form into meatballs of whatever size you prefer. Flash freeze on parchment-lined cookie sheets or pans. 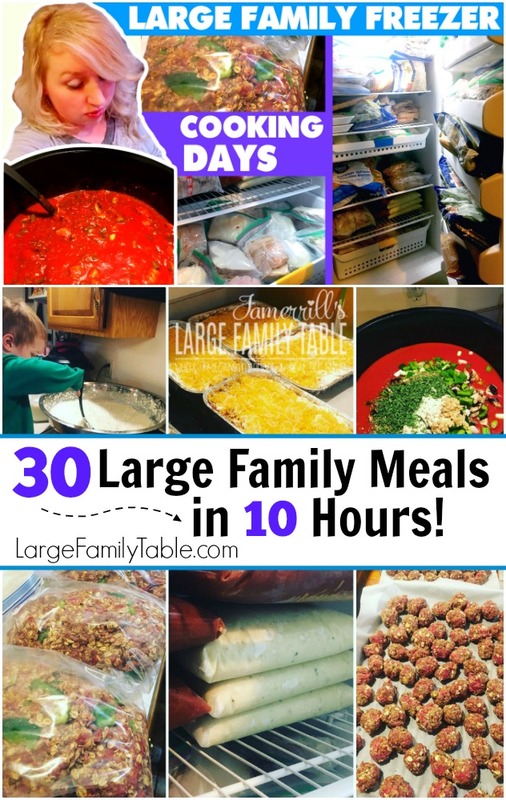 Divide into freezer storage bags into the amounts that you will need for a meal. To cook meatballs, remove from freezer the day before needed and thaw in frig overnight. Use them in whatever recipe you’d like the next day. I hope you enjoy this quick and easy homemade meatballs recipe. 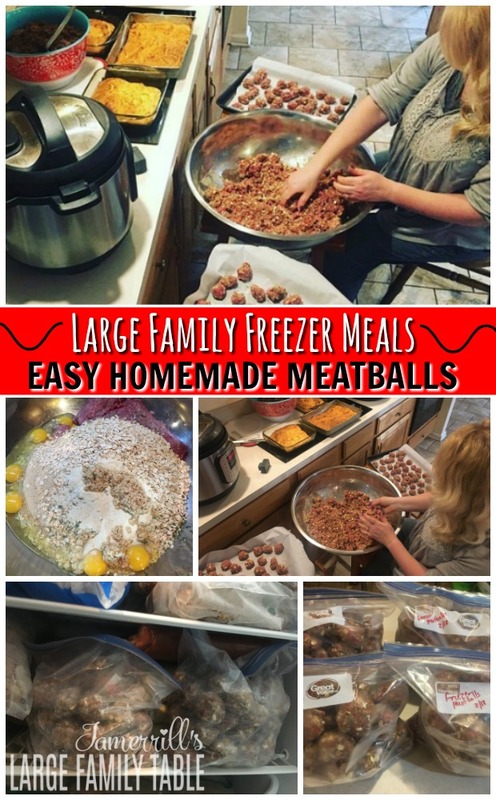 Most recently this meatball recipe was in my 30 Large Family Meals in 10 Hours vlog from my latest large family freezer cooking day.